This Discovery Explore Planetarium globe projects constellations onto the ceiling to show children how the stars move across the night sky. Listen to a commentary about the planets (not part of the light show). Use the light pointer to locate and highlight stars. 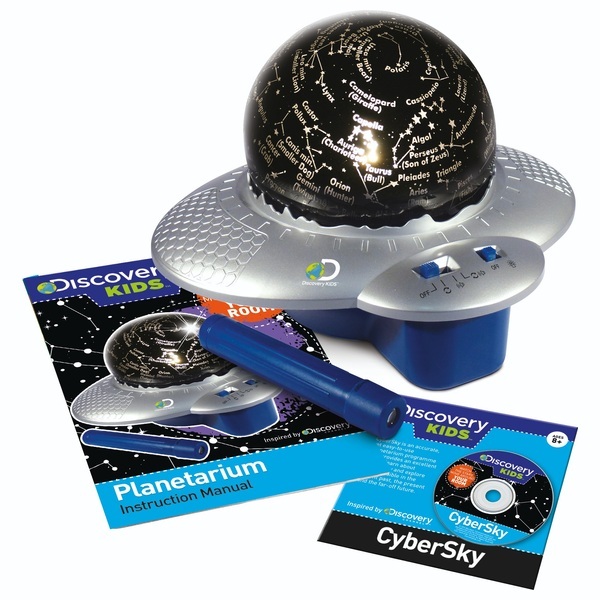 Includes an amazing CD-ROM with which you can trace stars, planets and constellations and discover where to find them in the sky at any given time. Read about planets, constellations and the legends behind the zodiac signs in the colourful manual.